This is Terry Newhouse, vice president of business development and technical sales for Universal Woods Inc., the world’s leading manufacturer of hard surface products for sublimation and mezzanine decking material. 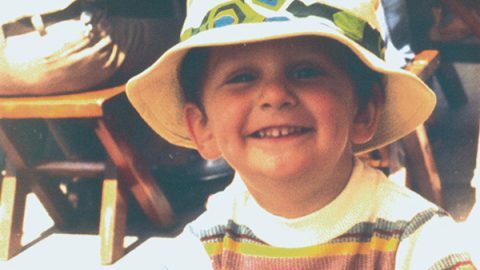 Terry and his wife Debbie recently relocated to the Willamette Valley, and—as it turns out—Debbie and Bells Up Chief Marketing Officer Sara know each other through their other lines of work in supply chain. 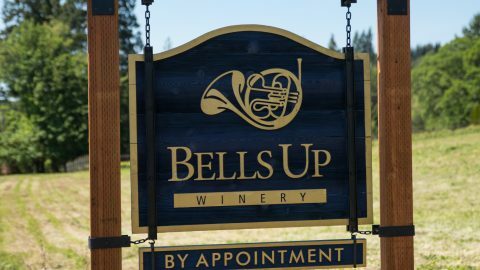 Terry thought it would be fun to convert the Bells Up Winery logo into a round tabletop with his company’s ChromaLuxe offering, which uses a dye-sublimation process to infuse images (or logo graphics in our case) into specially coated surfaces—including tabletops. We’re looking forward to debuting the new table at our first anniversary Memorial Weekend Open House days! Come by and check it out. Want one of these nifty tabletops for yourself? Contact Terry by email. 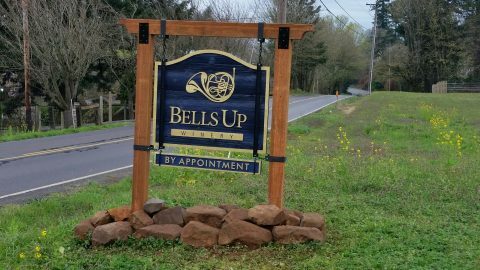 Bells Up's 2015 Prelude Rosé of Pinot Noir featured at Newberg's Subterra RestaurantSaturday, May 7: Treat your mom to wine, retail therapy at Yamhills Gallery, featuring Bells Up wines.